We are happy to announce that starting from today the list of "CFD ETF" in the "Fort Financial Services" trading terminal is renewed. 43 funds for the leading manufacturers such as Blackrock (iShares), Vanguard, State Street Global Advisors (SPDR) etc. are now available for trading! 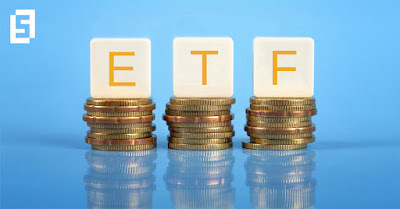 ETF is the most progressive and rapidly increasing investment tool on the stock market. By buying ETF you invest in several largest companies thus diversifying your asset portfolio. The company’s specialists have made a list of instruments that reflect the economic health of different countries and economic sectors such as #MALAYSIA (EWM), #INDONESIA (EIDO), #INDIA (ETN INP), #RUSSIA (RSX), #GERMANY (EWG), #CHINA (FXI), #TECHNOLOGY (XLK), #TELECOM (VOX), #REALESTATE (VNQ), #INDUSTRIAL (XLI) etc. The «Fort Financial Services» company tends to comply with the high quality standards of the provided services. We are one of the few companies who allows to trade ETF via MT4 platform. For details visit the "Contract Specifications" section on our website.